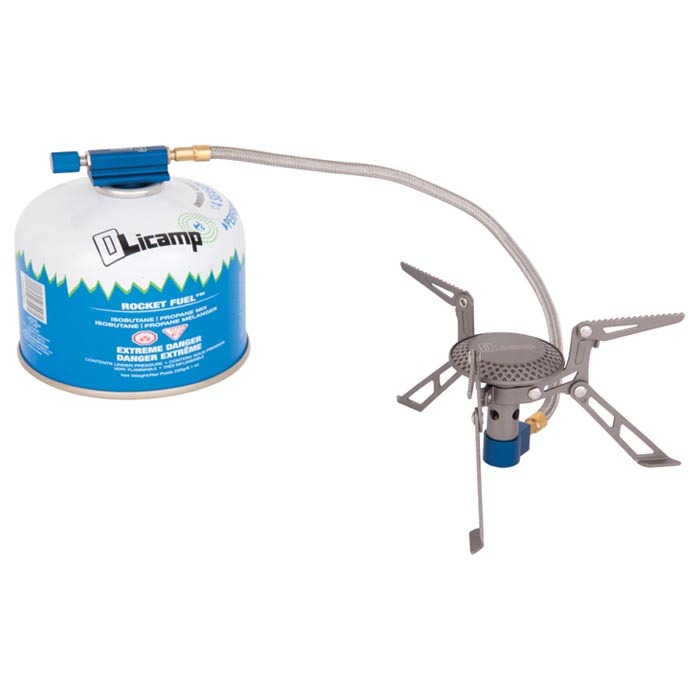 The titanium Olicamp Xcelerator is a remote canister stove that is lighter weight than most sit-on-top stoves. Remote canister stoves are more efficient as they can be used with wind screens to maximize heat transfer in poor weather. Use with our Convector windshield for a robust cooking system in poor weather conditions. Remote stoves sit lower to the ground and are more stable for cooking and with larger pots. The Xcelerator stoves pot supports, wide burner, and stem are all made from ultralight and rugged titanium. Fitted with a metal mesh gas line and machined aluminum block valve. 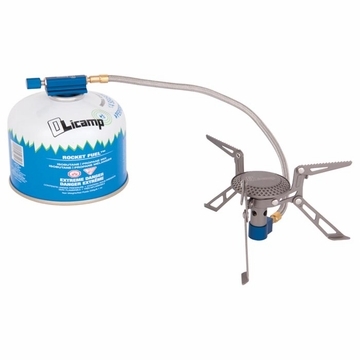 Our valve is designed for precise flame adjustment for cooking outdoor gourmet meals. Convenient canister fuel eliminates the need for priming or pumping. Fits universal screw-on valve canister fuel of Butane/Propane mixtures.